However, the U.S. Fire Administration reported that more than 3,000 Americans were killed by fire in 2015, and another 20,000 were injured. Though those are fewer deaths, in 2015 versus 2005, public fire education and prevention efforts are still vital. For Fire Prevention Week, Brinkmann’s Hardware has five tips for fire safety preparedness. Install fire alarms. Having a sufficient number of fire alarms in the home is essential. This will give you maximum escape time. Have fire alarms on every story of the home, inside and outside of sleeping areas. These smoke alarms are usually quite inexpensive and can save your life in the event of a deadly fire. 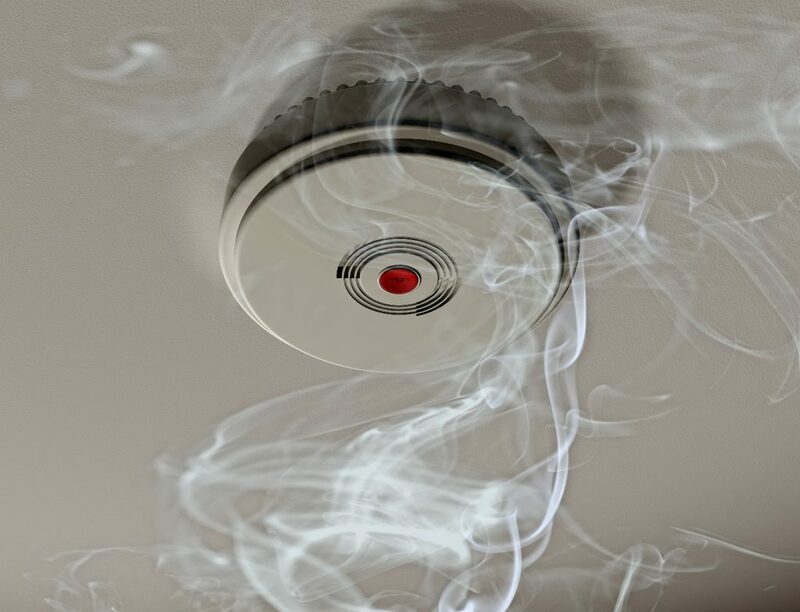 Make sure to test fire alarms monthly and check the batteries to ensure proper maintenance. If the smoke alarm is more than 10 years old, replace it. Prevent electrical fires. Overloading your circuits or extension cords is a recipe for disaster—literally. Poor connection between plugs and outlets is one cause of electrical fires, as the overheated outlet can start a fire in mere moments. Make sure that cords and wires are not placed under rugs, and avoid loose electrical connections. Anything that has the potential to heat up needs plenty of space. Fire safety sprinklers. Consider installing fire safety sprinklers in the home. In combination with a smoke detector, this creates the ultimate protection against fires. Sprinklers are affordable and can increase the value of the home as well as lower home insurance rates. Teach children about the dangers of fire. Make sure children do not play with matches, lighters, or any electrical device that could start a fire. Keep these items out of reach of children so a fire cannot be started or so the child does not injure him or herself accidentally. Make sure your family is prepared. Talk with your family, especially younger children, about what to do in the event of a fire. The most important advice is to get out of the home and stay out—and do not return to the burning home for anything or anyone. Studies show that most people only have two minutes to escape a home fire. Make sure that you have a fire escape plan and drill the plan once a year. Brinkmann’s Hardware is well-versed in fire safety. If you need the perfect smoke detector or would like more information about how to prepare your home in the event of a fire, please contact us online or call us at 631-812-7149 for more information.